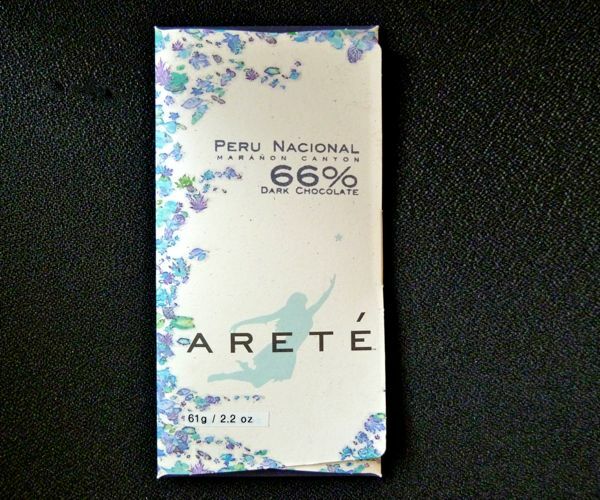 This unique and special 66% dark chocolate bar was made by Arete Fine Chocolate (Milpitas, CA). It was notable for its smooth, creamy and rich, yet relatively mild, flavor. 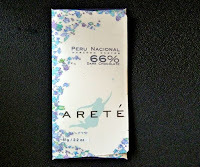 I picked up hints of dried fruit (raisin), caramel and cream in this even, well balanced bar. The was a relatively small production, craft bar, not found in too many places. 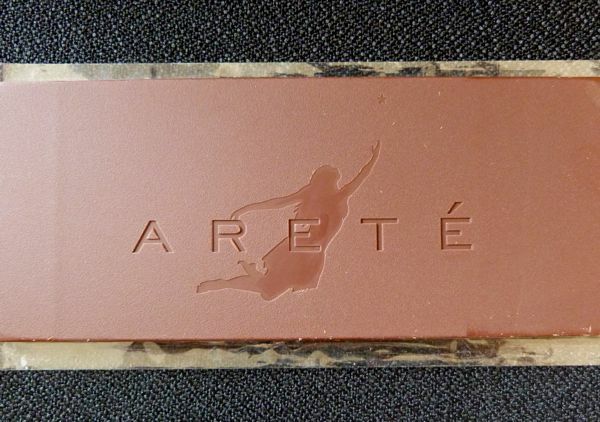 I was fortunate to buy this bar in Santa Barbara, and to have met Arete's founders (David and Leslie Senk) at The Chocolate Garage -- a unique place in the San Francisco Bay Area where "Garage" members/subscribers are often able to meet the makers behind great tasting chocolate. 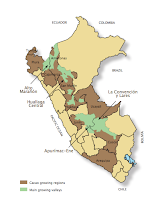 There are 196 provinces in Peru, and these provinces are grouped into 25 regions. Cacao is being grown/produced in 10 regions (shown in brown on the illustration) according to a report ("Cacao in Peru: A Rising Star") I found on the peru.org website. Growing areas can be found in coastal, Amazon and rainforest regions. Collectively growers produce more than 40,000 cacao hectares. "Nacional" cacao was a popular choice in Peru and Ecuador the 1900s. Unfortunately, diseases led to reduced supplies of this great bean for many years. The Nacional beans from this bar came from the Maranon Canyon (likely in an area in central Peru, carved out by the Maranon River*). *While the great Amazon River is fed by many sources, the Maranon River is considered the "source of the Amazon river" by many. The Maranon River is large enough to also be associated with an area likened to the Grand Canyon in the U.S. southwest.